PEI singer songwriter, Tim Chaisson is ready to release his fourth album, The Other Side on September 25th via Bumstead. Born in a musical Celtic family, where they are so exquisite that they'd previously been asked to perform for the Duke and Duchess of Cambridge during their last visit in the summer, he's built a frank yet heartfelt method to reach out to the listeners with his gentle voice and a single acoustic guitar. This new effort, The Other Side epitomizes Chaisson's ability to get closer to the listeners while sliding in the space between the hearts and penetrating with various feelings of the songs. The initial tune, Beat This Heart, kicks off the album with an amiable country pop tune with an effortless gentle vocal and a chain of warm acoustic string jams. Blast Your Way Out also set the tone of the record, where his straightforward yet, humble music tickles the listener with a bed of heartwarming melody. My favorite song of the album is The Healing. This song is a rather quieter tune than others in the album. It deploys the perfect combination of intimacy and longing of his minimal musical style. His cordial voice breathes along with the emotion-provoking lyrics. As it gets closer to the climax of the song, I couldn't help but remember the bitter taste of being broken hearted, which everyone has experienced at least once in their life. 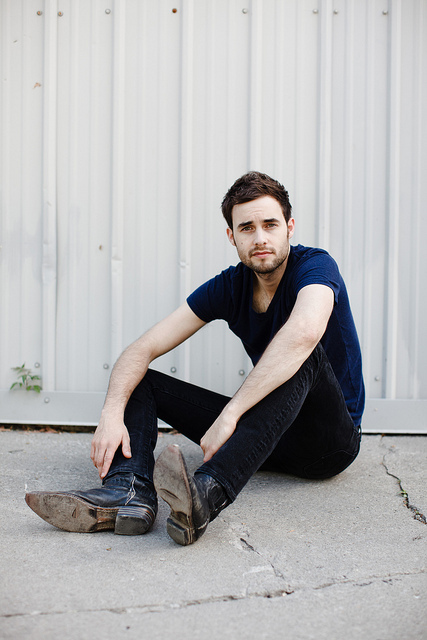 Tim Chaisson has two upcoming Toronto shows. He will be performing at this year's Canada's Walk of Fame at Nathan Philips Square on Saturday, September 22nd. He also has a CD release party in Toronto at Dakota Tavern on September 25th. Check out his performance of Beat This Heart and Blast Your Way Out with Southern Souls.